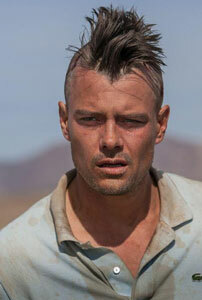 Josh Duhamel is best known for lighter fare like Nicholas Sparks’ Safe Haven and the Transformers franchise. So, the actor was eager to take on a passion project in the form of the drama, Scenic Route. The role was a challenging one for Duhamel, despite his past acting experience. Scenic Route is currently playing in theaters.